Fiction – paperback; Black Swan; 382 pages; 2002. 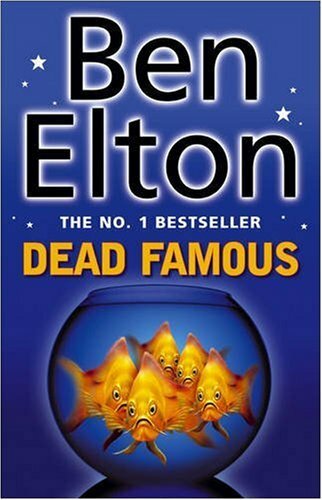 Put succinctly, Ben Elton’s Dead Famous is a superb whodunit. It’s also a superb spoof on reality TV — in particular the Big Brother phenomenon — and the way in which the culture of celebrity pervades modern day life. It’s Day 27 in the House Arrest house and there’s a murder in the toilet. Despite all the hundreds of cameras recording the housemates 24/7, there is no evidence to show who committed the crime. Consequently, ratings soar as viewers try to determine who is the killer. Elton’s story sounds like a straightforward plot, but it’s not. He cleverly withholds the identity of the victim until you are at least half way through the novel. This means that while you know someone’s been killed, you begin to analyse every housemate, looking at their potential to kill or be killed. You end up turning the pages at a furious pace and, if you’re like me, you may find yourself reading this book in one sitting. If you’re a Big Brother fan, you will love this book. It’s clever, wry and funny, but above all it is hugely entertaining.